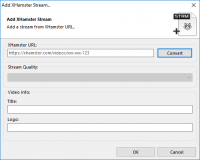 Customizing your IPTV M3U channellist has never been easier! 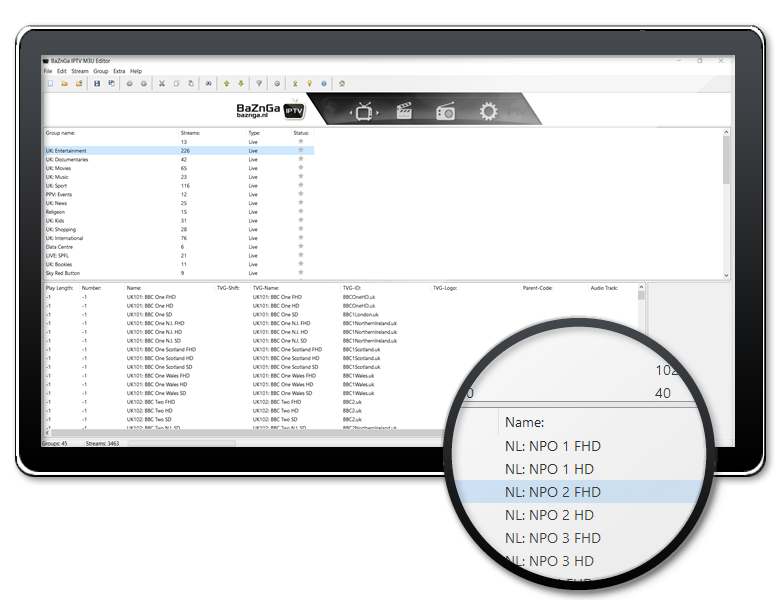 With our IPTV M3U Editor you have the Swiss army knife under the M3U editors! 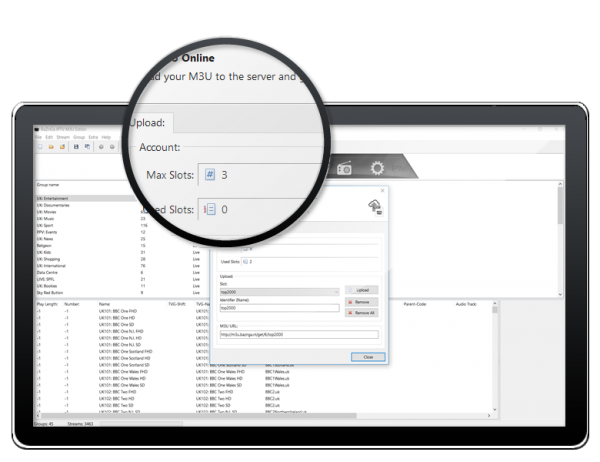 With functions such as filtering streams, importing radio streams, matching XMLTV EPG codes, and more! 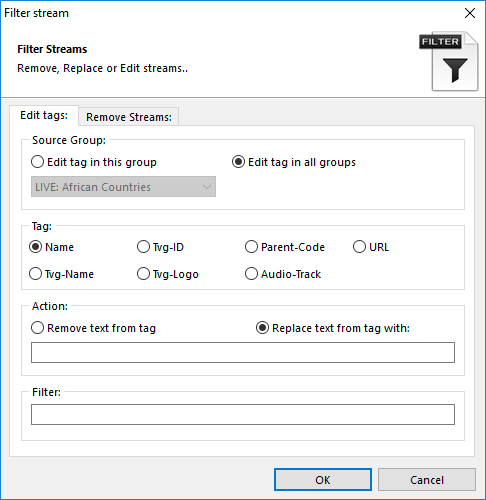 Bulk edit tags by removing or replacing texts, or remove streams that contain or do not contain a keyword. 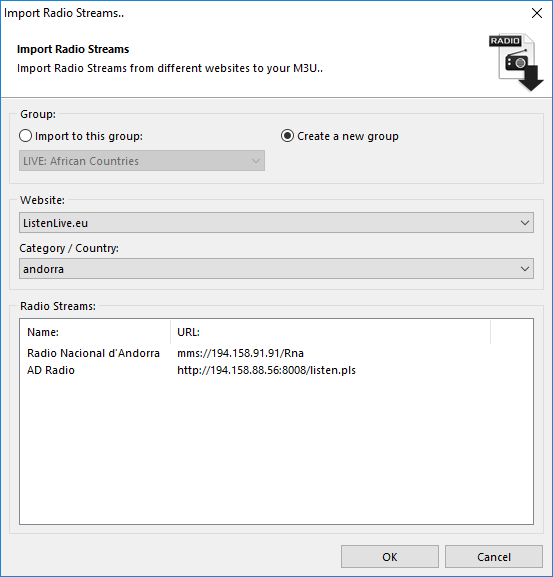 Import radio streams directly from different websites, with the latest and working radio streams, in any category or language. 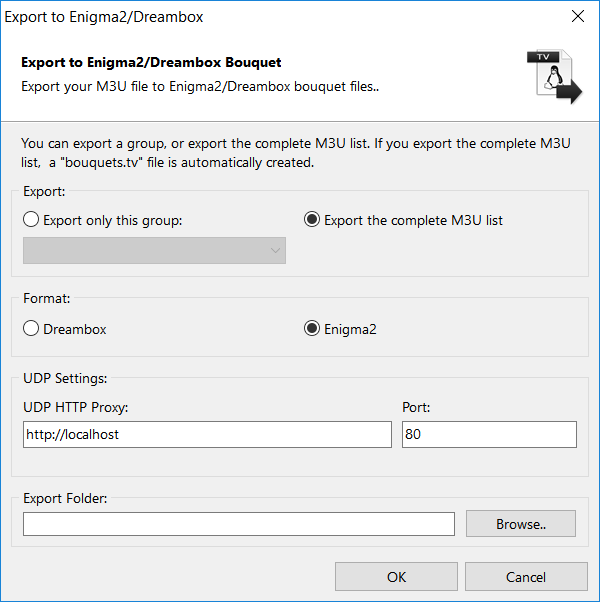 No need for other tools to export your M3U file to Enigma2/Dreambox. 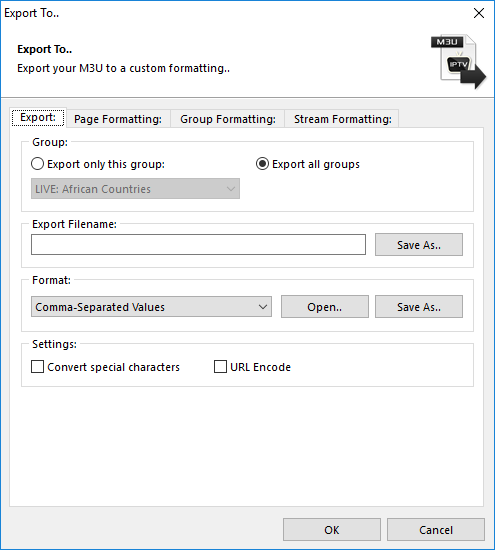 Select which group to export or export the complete M3U file. 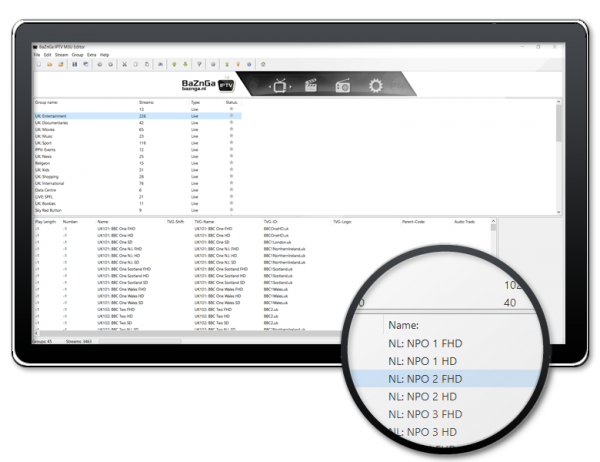 No more manual numbering, with our IPTV M3U editor you can choose to number per group or number all streams consecutively. 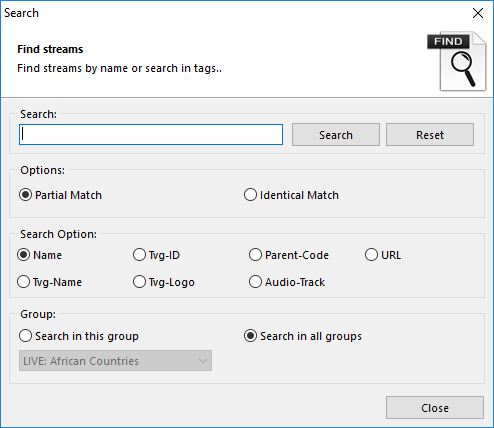 Easily find the stream you are looking for with search. 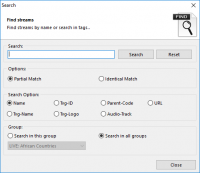 Find partial texts in tags, search in different groups. No need for manual moving up and down of streams. 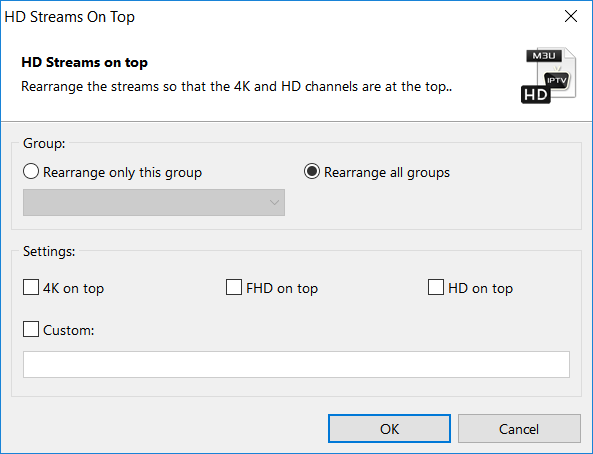 You can use 4K, FHD, HD, or even a custom keyword to set the streams to the top of the group. 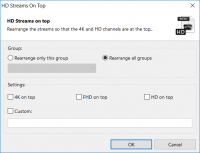 Download the TV Logos from your M3U list for faster loading. 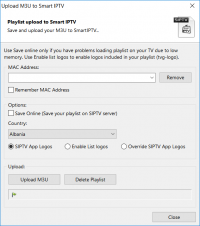 Doesnt your IPTV Provider offer an epg? Match your M3U easily with another XMLTV Guide. 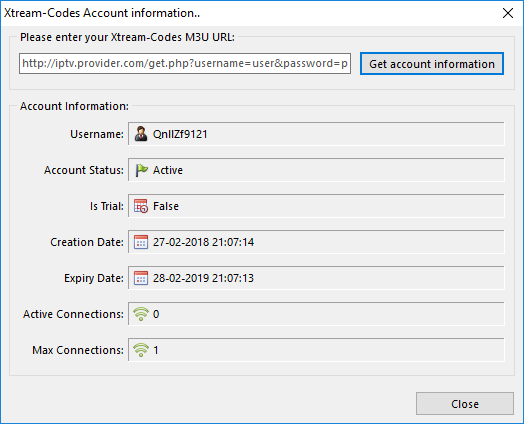 Easily retrieve when your IPTV subscription expires, check active connections and more. 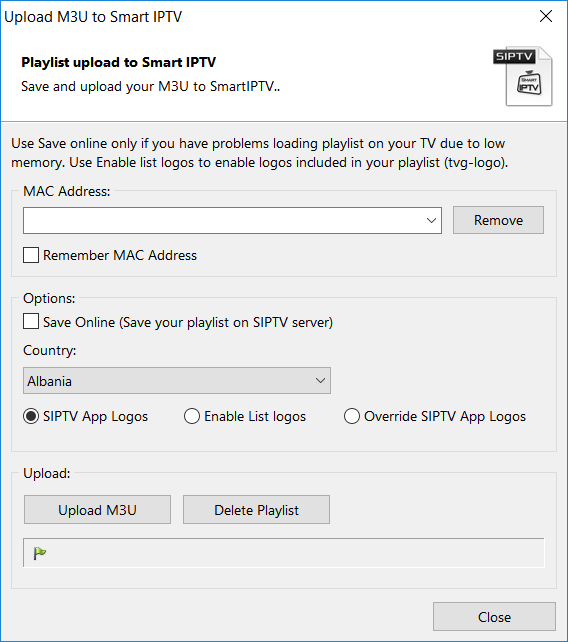 Upload your customized M3U list directly to your SmartIPTV MAC Address! 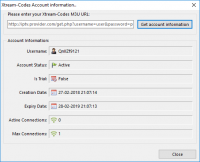 Convert your Xtream-Codes MAC Address account to a working M3U URL, ready for use. 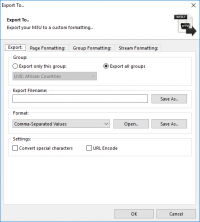 Create your own file formatting, export your M3U file to different files quick and easy! Import your favorite music videos in to your playlist with ease! 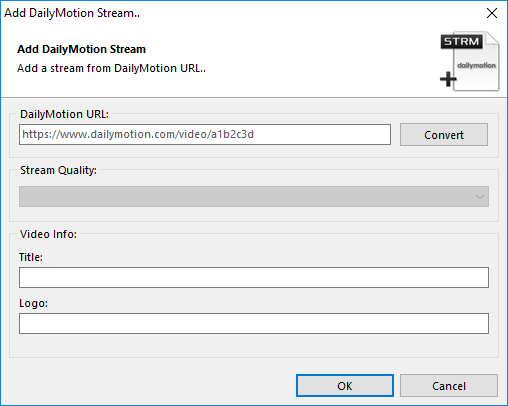 Import your favorite video's from DailyMotion directly to your playlist! 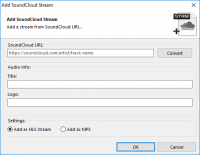 Import your favorite music in to your playlist with ease! 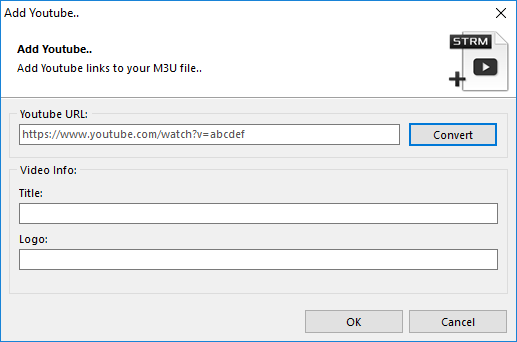 mport your favorite video's from YouTube directly to your playlist! Easy importing of PornHub video's to your playlist! Easy importing of XHamster video's to your playlist! 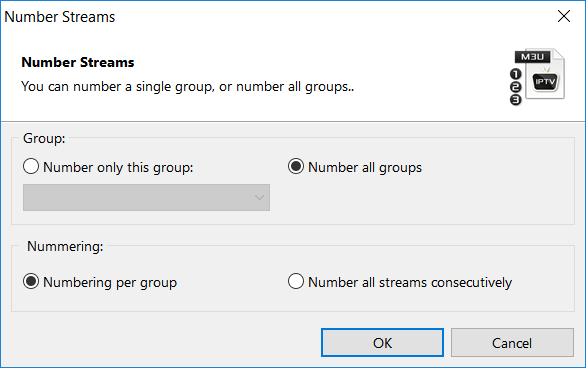 You have an overview of the groups in your M3U, and can immediately see how many streams per group and the type of content. The streams are also clearly arranged with the available tags, and with an example for the channel logo. 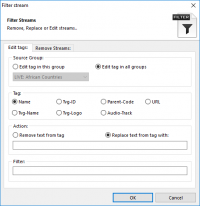 You can adjust your stream tags quickly and easily. 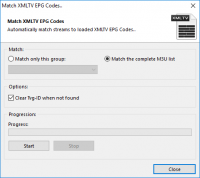 Also setting EPG Codes from an XMLTV Guide or for use with the SIPTV app is child's play. 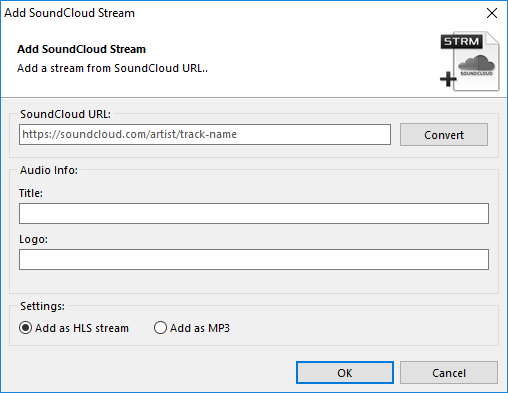 Tags that are empty are not written to the M3U to save space. 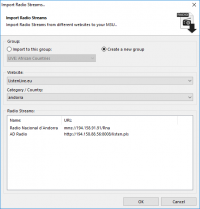 Save your personal M3U online! 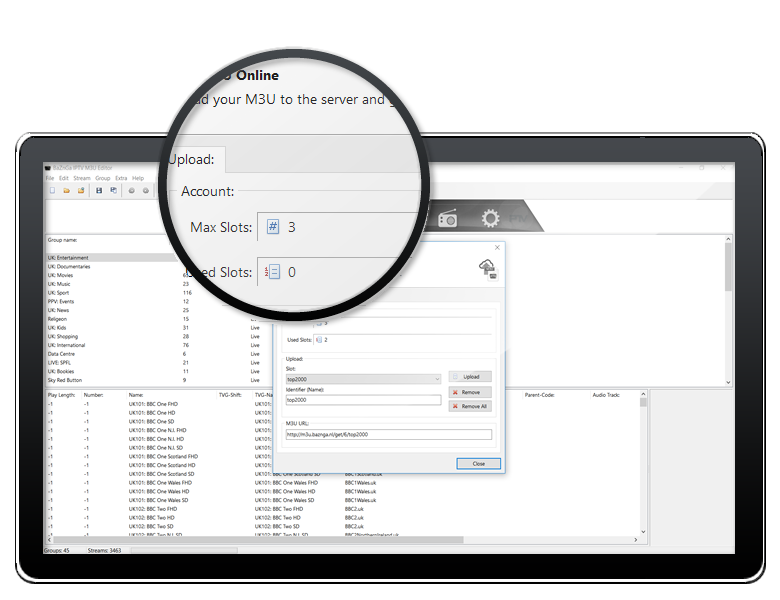 You will receive 3 slots per license to upload your M3U. 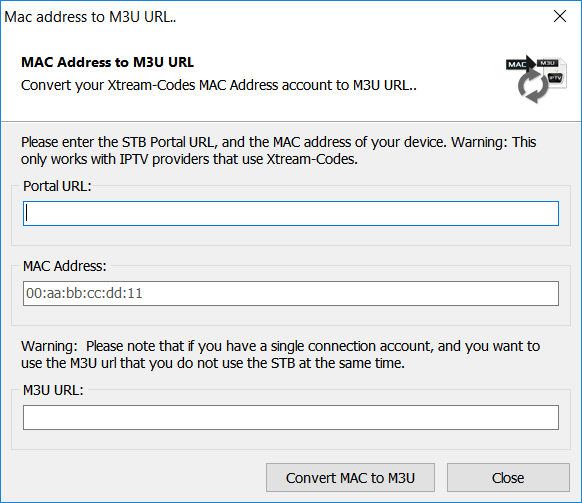 So you only have to enter your M3U url once in your favorite IPTV player app, and you can personalize and update your M3U and upload it. No more hassle with USB sticks, just nice and simple!